The Great Backyard Bird Count starts now. It’s easy and fun to do with kids. Plus it only involves counting for a weekend. The results are interesting observations across the country. 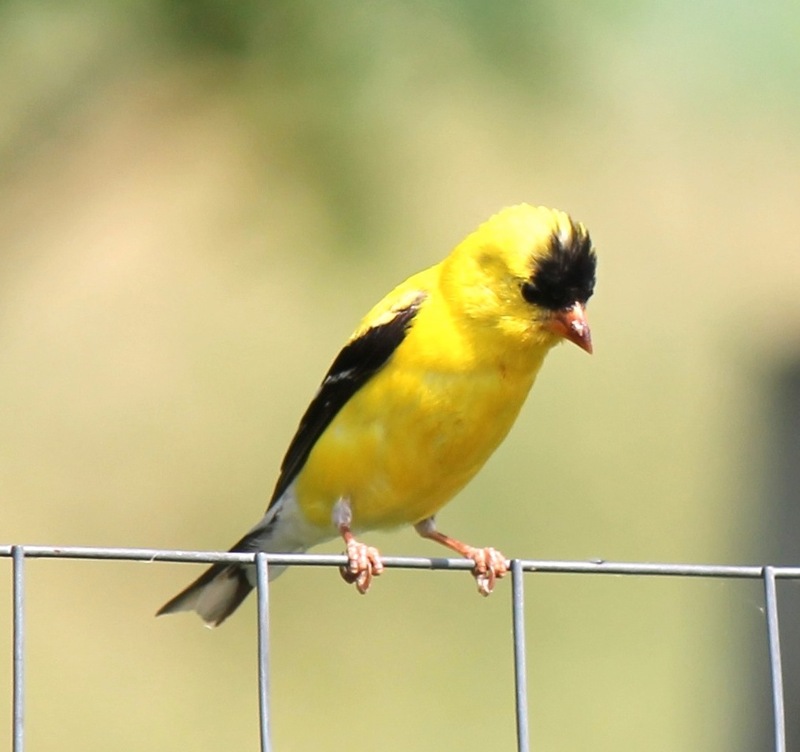 Our winterized goldfinches are not as flashy as the little fellow above. As much as I love the snow and winter, barefoot in the grass has some appeal. It shouldn’t be hard to find the birds in the old and newly fallen snow today. Enjoy!